Although it has had a passing mention (in connection with the ex-BH&D Dennis Lances it acquired) Westcliff-on-Sea Motor Services has not so far had a mention here in its own right. To rectify that, attached is a shot of one of its more unusual vehicles, AEC Regent MV 3394. I understand this was originally a demonstrator, had an MCW body and was new around 1932/3. If this date is correct, the piano front styling was surely a little dated by then. 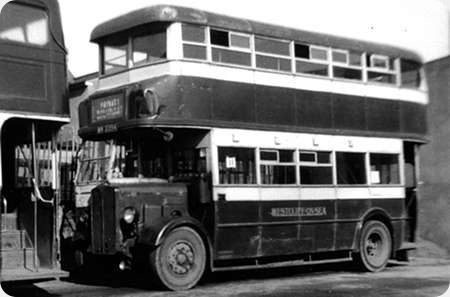 By the time I new this bus in about 1951/2 it was used, along with Westcliff’s other old crocks, on contracts for workers building the oil refinery at Shellhaven. It is seen here in the yard of Westcliff’s Fairfax Drive, Prittlewell depot, where all the contract buses were based, in June 1951. Worrying biff in the piano front! A characterful decker from the period that interests me most—though I’m also fascinated by recent developments in "hybrid" systems. Did it hang on to its petrol engine to the last? A 19-year life was pretty good for an unrebodied bus of that date. This is an unusual design for a Metro-Cammell body, but then it was really the mid-1930’s onwards when many of us became familiar with their designs. 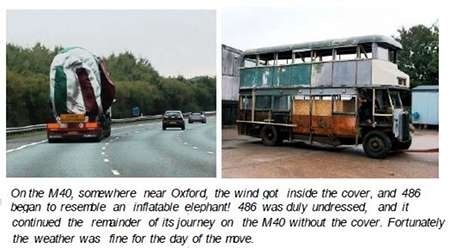 I wonder if the bus pictured was a metal-framed prototype? If so, this might account for it’s long life, as Met.Cam bodies seemed to last well in this era. It bears no resemblance to the designs produced for Birmingham or Coventry from c.1934 onwards, nor to the Leyland design of 1936 after Leyland "pinched" Colin Bailey from Metro-Cammell at that time. I beg to differ with Michael H. The Birmingham Regents (Met Camm) did have different window design, however, there was a striking resemblance to the ‘Westcliff-on-Sea’ piano front. Thanks to Nigel for his information. Although familiar with pictures of Birmingham’s AEC Regents of that era, I had not realised they were bodied by Metro-Cammell. So the similarity is quite clear, as he states. It’s good to know that 486 is making good progress in it’s restoration. 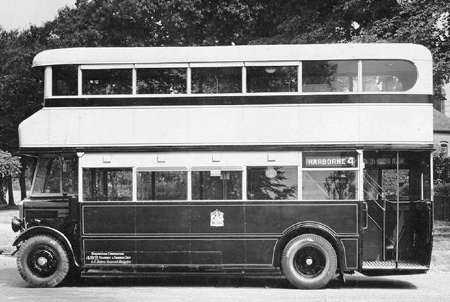 Birmingham also had some 1930 AEC Regents with rare Vulcan bodies, also with piano fronts. They are so similar to the Met Camm design, they might well all have been built to Birmingham’s specification. Chris, I had forgotten the Vulcan’s (7) – OG 409-443, H27/21R. 1930 seems to have been an ‘experimental’ year for BCT with Bodies by Guy, MCCW, Short and English Electric! I risk boring the socks off the more knowledgeable among us, but, further to my theory that 1930 was an ‘experimental year? I did a bit more digging. Indeed there were three strange vehicles loaned to BCT which were allocated 94, 96, 98 fleet numbers : Crossley Condor, Crossley Body. Guy FCX66, Hall Lewis body, and Vulcan Emperor with Brush Body. I had not realised BCT had been so adventurous! Further to Ian’s comments, I don’t know about the engine, but I think it likely that it had an oil engine latterly. 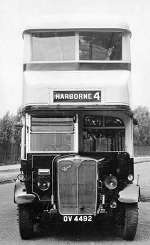 Although it is still basically the original body I am sure that it had some refurbishment after the war as did most of Westcliff’s older vehicles. The sliding ventilator will not be original, and I would think these will date from the refurbishment. It has to be said, Brian, that those upstairs ventilators are enormous, taking up half the window space!